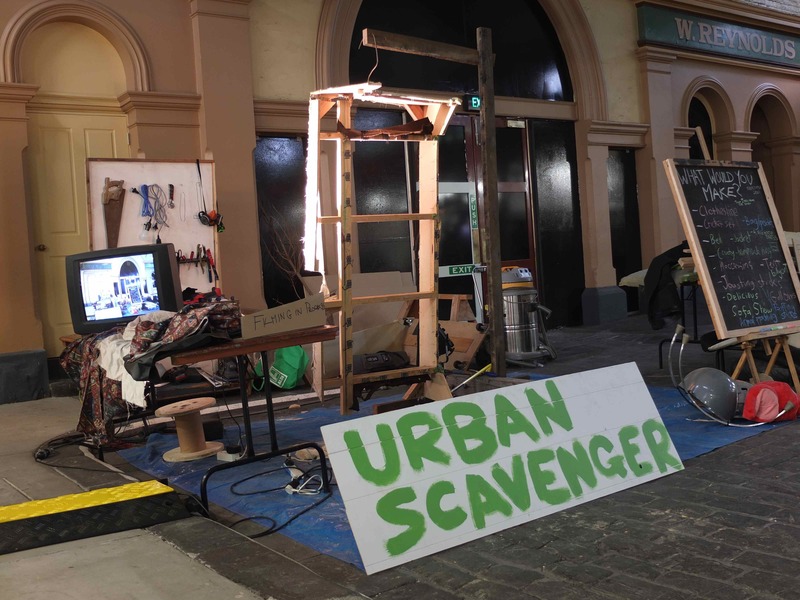 Urban Scavenger is a design experiment series presented by Melbourne based designer Tim Denshire-Key. The project aims to explore what is waste, what we see as waste and how we can reuse it. The initial iteration was held at Eurisko Melbourne 2013, where Tim began to explore the possibilities of creative re-use. Starting with a discarded couch destined for the tip, Tim dissected it down to its bare elements, and is now in the process of repurposes these elements into other objects. Some functional, some sculptural and some suggested from the crowd. The installation encouraged people to think about design for disassembly, LCA (Life cycle assessment), building creative confidence, creative re-use and what resources go into making everyday items. This is the first public iteration of what is going to be a series of design experiments. Urban Scavenger is building upon ideas I’ve explored in previous projects, The Repair Workshops and Hybrid Objects.